Inspiring solutions with a modern shape and design. It is for those seeking simple but unique solutions. This collection with the colours of sanremo oak fits perfectly into the current trends. Its decor is distinguished visually by 3D effects, giving the impression of a deep surface. This effect was obtained by the perfect combination of negative pores and expressive drawings of wood. The different sizes of knots, fine scratches and beams of wood are naturally emphasized. 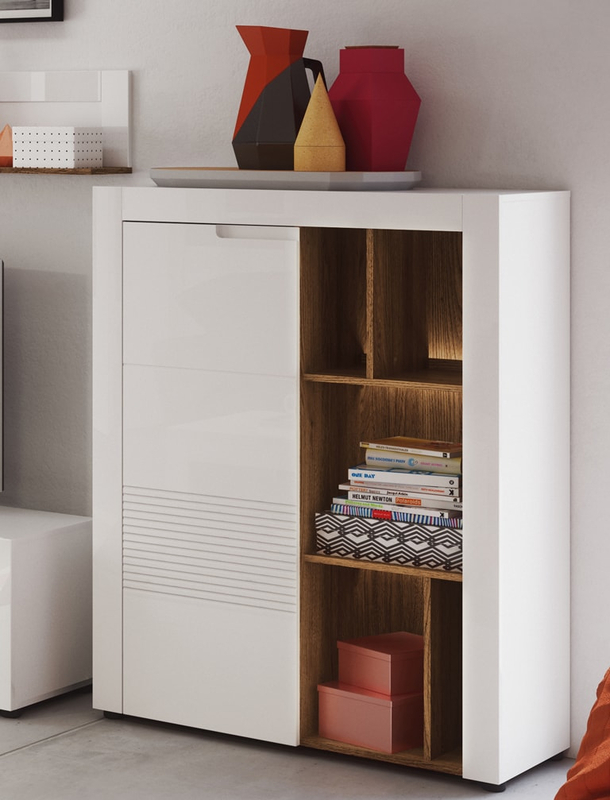 DESJO line is ideally suited to the living room, dining room and bedroom. An ultra-modern system in light colours.It provides limitless possibilities to arrange large spaces with minimalistic design. 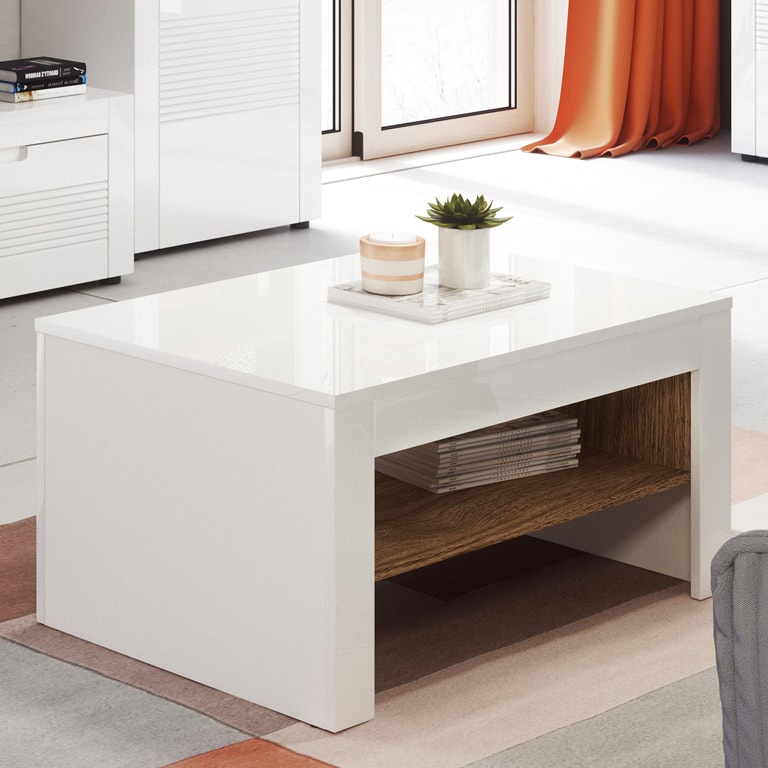 Simple forms of furniture will decorate any interior following recent trends. The linearity of fronts and austere geometry of masses have been emphasised with shimmering white combined with dark Malaga cherry. Loft furniture transforms according to your expectations. Hanging cabinet can change into a functional desk in a few minutes. Everything depends on what you want at the moment. Because your needs are the most important to us. Malta collection is a proposal for a modern interior. It’s furniture for those who seek originality and unique design. 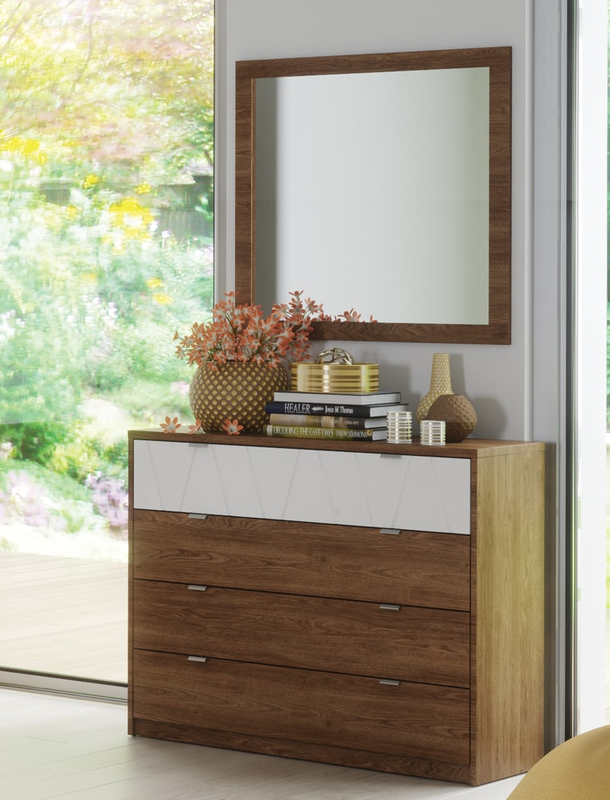 The shimmering white combined with dark walnut colouring makes the furniture expressive. The softly rounded edges are safer for the users. Malta has many unusual shapes that will satisfy the most sophisticated design needs. 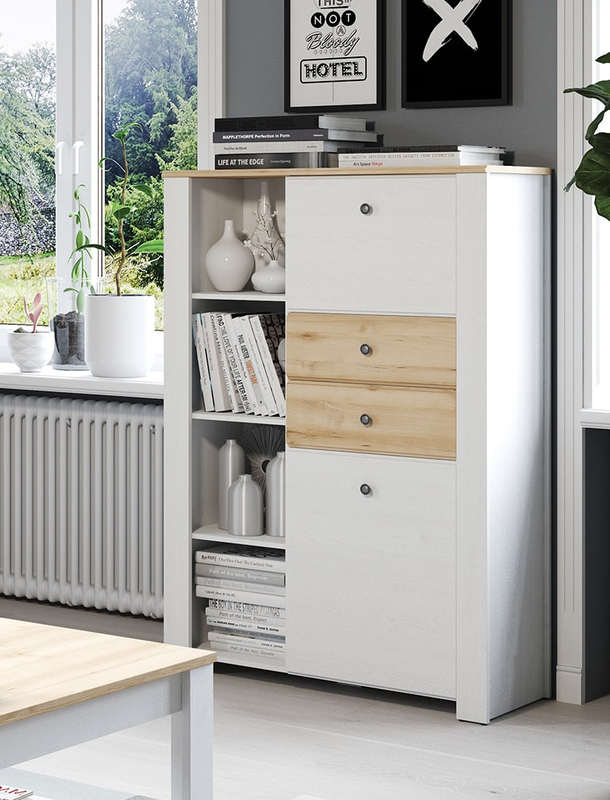 The combination of classic white with an interesting oak color makes each piece of furniture exotic and interesting. Minimalism of this collection will look in any environment, due to this you create a unique interior. 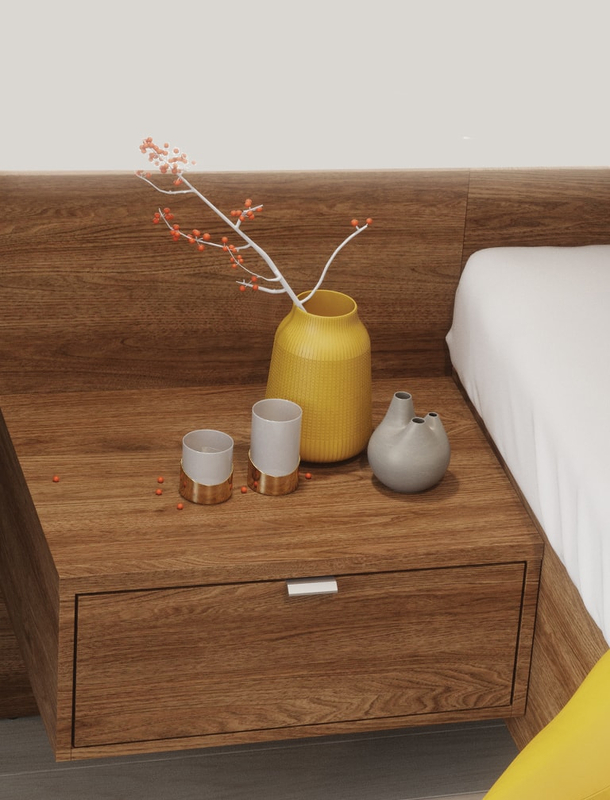 A very comfortable bed with an elegant night table, functional dressers and a spacious wardrobe will be the ideal equipment for any comfortable bedroom. Furniture collection Wenecja is designed for the most demanding users who want to enjoy every moment spent in the comfort of their own home.